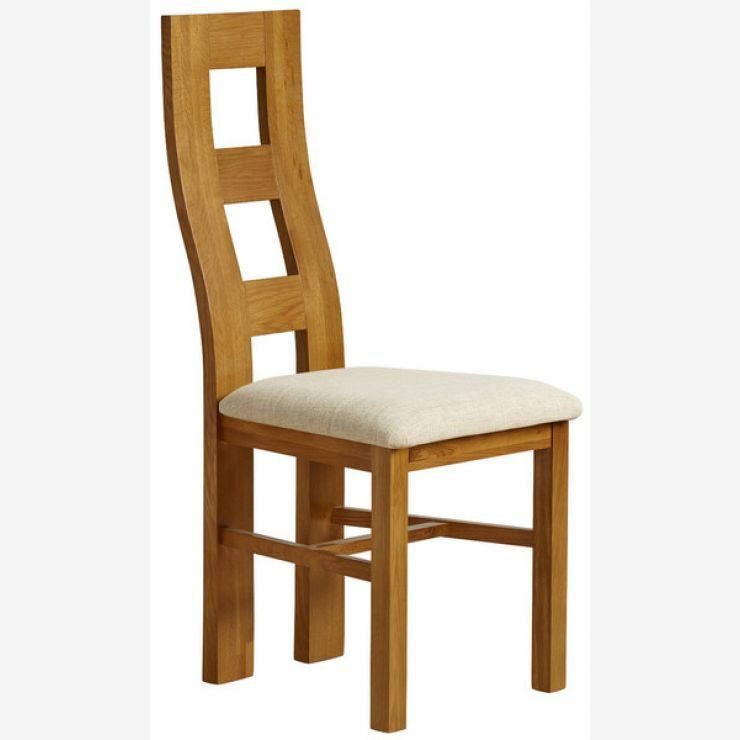 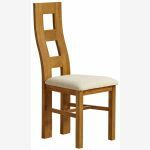 The modern curved design of the Wave Back Rustic Solid Oak Dining Chair is not only an exquisite feature but also provides exceptional lower back support, ensuring this dining chair is equally as comfortable as it is attractive. 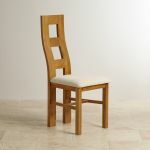 With the padded seat and only 100% solid oak used throughout, this chair is made from only the finest materials to ensure the highest quality chair at the best possible prices. 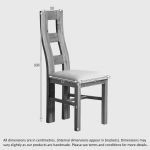 Hand crafted from the same solid oak as our full selection of Oak dining tables, this chair will be the perfect addition as a dining set or is available separately - but only sold in pairs. 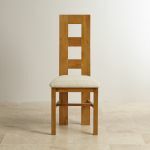 Finished in gorgeous plain grey fabric.